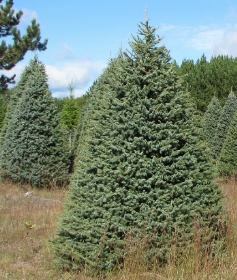 With its dark green color and short stiff needles the Black Hills Spruce has become another favorite among buyers due to its conical form and deep green color. 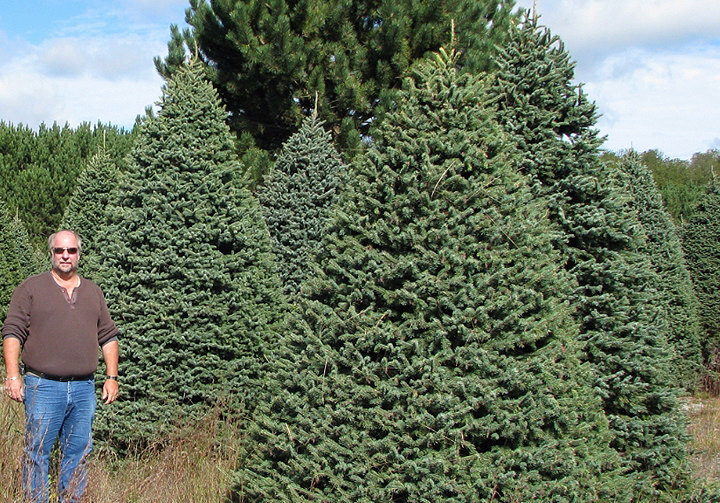 Growth during the first 10 years after field planting is relatively slow with 8 to 11 years required to grow a 6-7 foot tree. 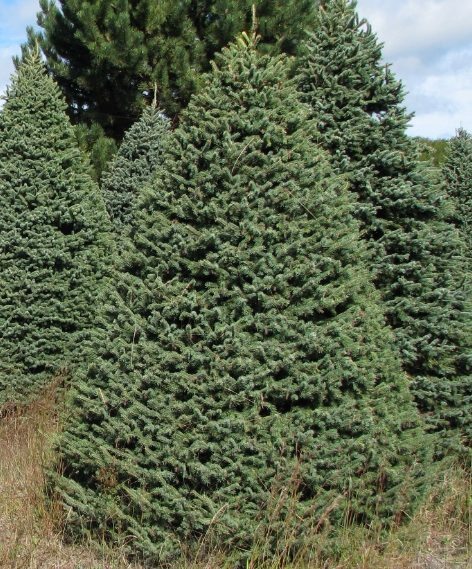 When used in a landscape it is one of the most adaptable of the spruces, prefering rich moist soil in full sun but also thriving in dry, well-drained locations. It has a medium growth rate and requires little, if any, pruning. background foliage for colorful seasonal plantings. A great candidate for naturalistic woodlands needing a reliable conifer that won't spread out too much. Consider it as a single specimen for semiformal schemes or exploit its columnar form by planting matched pairs in symmetrical landscapes. Choose an image above to view full size below. 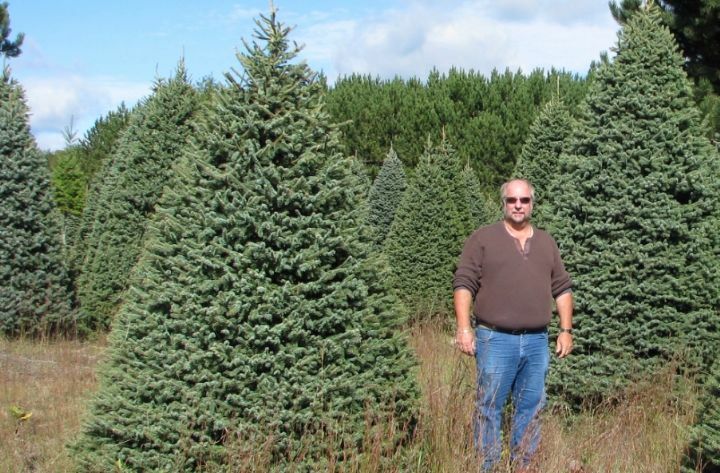 Watson Tree Farms has a large selection of high quality wholesale Christmas trees. Return to our photo galleries. 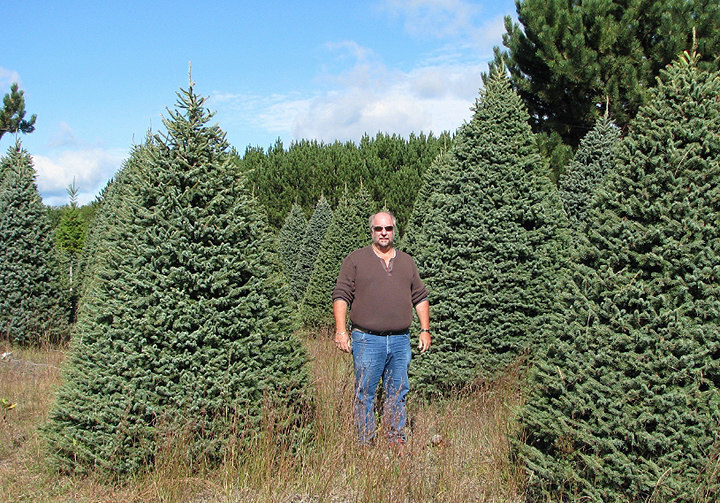 Copyright � 2010 Ron Watson Tree Farms.